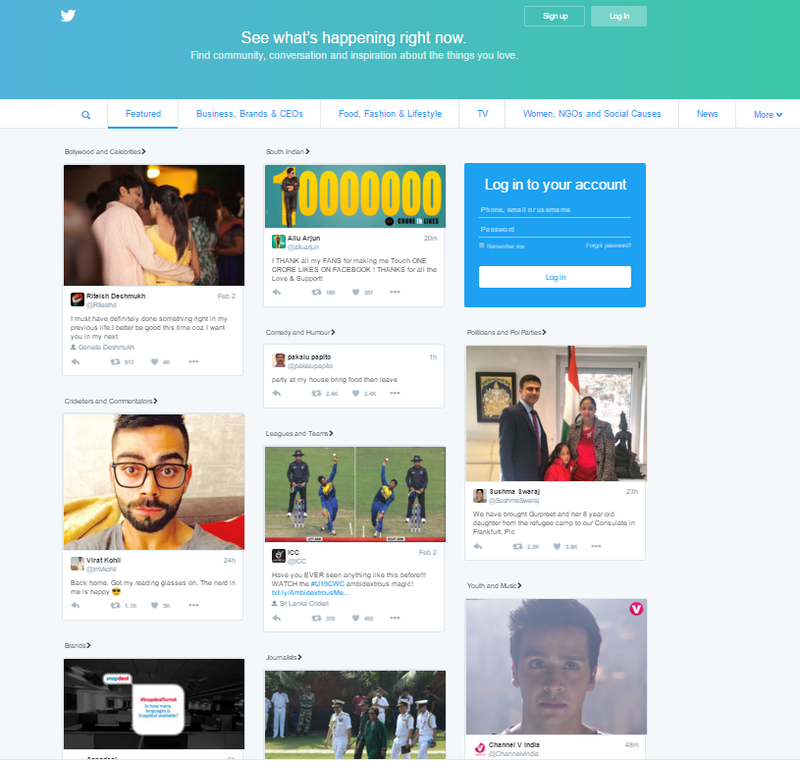 Twitter has cemented its identity as (what I would call) a ‘social publisher’ by rolling out the ‘home timeline’ on web, that pulls together popular public tweets from across verticals like movies, sports, politics, business, music etc. This gives users the opportunity to check out popular bytes and engage with tweets without logging in. The popular social platform has been taking this feature live in various versions, across select geos since last year. The home page does look like a digital publisher’s home page, just that instead of curated content, this gives you the most popular content on the platform. With news and PR increasingly being disseminated through social channels, this is a smart move. This also seems like a great platform to integrate brands and accelerate revenue generation – think takeovers, branded posts etc. I think it’s just a matter of time till these options are launched for advertisers. No wonder traditional horizontal digital publishers like Yahoo! are feeling the heat.